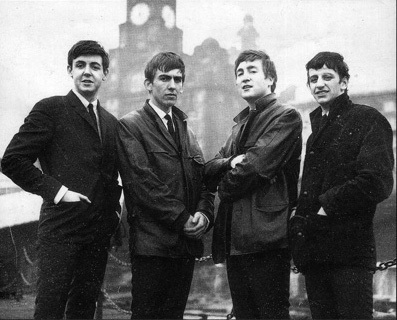 1962, The Beatles appeared at Aintree Institute in Aintree, Liverpool. The group had played here many times before but this was their last performance at the venue. Brian Epstein became infuriated when the promoter paid The Beatles’ fee of £15 ($24) with handfuls of loose change. Epstein took this as an insult to the group, and made sure that The Beatles never played for that promoter (Brian Kelly) again. 1965, John and Cynthia Lennon fly to the Alps for a ten-day-long skiing vacation. 1967, The Grateful Dead played at the Avalon Ballroom in San Francisco. 1967, Jimi Hendrix appeared at Chislehurst Caves in London, England. 1967, Pink Floyd played at the UFO, held at the Blarney Club, Tottenham Court Road in London. Also on the bill were AMM, Five Acre Light, Dave Brown, Plight of the Erogenius, and Chapter 1. The Floyd’s performance was filmed and clips of two songs were used in a Granada TV documentary program. 1968, The Bee Gees made their live debut in the United States when they played at the Anaheim Centre, Anaheim California. 1968, The Four Tops and Marvin Gaye performed at the Civic Center in Charleston, West Virginia. 1968, Melody Maker became the first music publication to report that David Gilmour had become a member of Pink Floyd. 1969, The Who begin five days of rehearsals at the Whitehall Theatre working on a new set. 1970, John Lennon’s “Instant Karma!” was written, recorded and released within a period of ten days, making it one of the fastest-released songs in pop music history. The UK release was on February 6th, while the US release took place fourteen days later. The recording was produced by Phil Spector, marking a comeback for the American producer after his self-imposed retirement in 1966, and leading to him being offered the producer’s role on the Beatles’ Let It Be album (1970). The song was recorded at London’s Abbey Road Studios, “Instant Karma!” employs Spector’s signature Wall of Sound technique and features contributions from George Harrison, Klaus Voormann, Alan White and Billy Preston. 1970, The Who played at the Operettenhaus in Hamburg, Germany. 1971, David Bowie arrived in the US for the first time. He couldn’t play live because of work permit restrictions, but attracted publicity when he wore a dress at a promotion event. 1971, Neil Young performed at Macky Auditorium, at the University Of Colorado in Boulder. 1972, Pink Floyd performed Dark Side of the Moon at City Hall, in Newcastle-Upon-Tyne, England. Also in the performance was One of These Days / Set The Controls For The Heart of The Sun / Echoes, and the encore was A Saucerful of Secrets. 1973, No Secrets by Carly Simon enters the third of five weeks atop the US album charts. 1973, Roxy Music won “the most promising new name,” section in the NME reader’s poll. 1973, “Superstition,” the lead single from Stevie Wonder’s Talking Book album gave him his second number one single in the US, 10 years after his first chart topper. Jeff Beck created the original drum beat while in the studio with Wonder. After writing the song, Wonder offered it to Beck to record, but at the insistence of Berry Gordy, Wonder himself recorded it first. Beck was instead offered “Cause We’ve Ended As Lovers,” which he recorded on Blow by Blow in 1975. 1975, The J Geils Band appeared at Maple Leaf Gardens, Toronto. 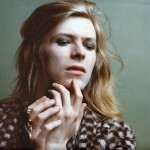 1976, David Bowie filed a lawsuit against attorney Michael Lippman claiming that he had taken a 15% agents fee instead of the customary 10%. 1977, AC/DC performed at The Haymarket, Sydney, Australia. 1980, Def Leppard played the first of two nights at The Marquee, London. Tickets cost £2 ($3.40). 1980, Bob Dylan performed at the Uptown Theatre, Kansas City, Missouri. 1984, Blue Oyster Cult played at Ausstellungshalle, Sindelfingen, Stuttgart, Germany. 1984, Madonna made her first appearance in the UK when she appeared on C4 TV music program The Tube performing “Holiday.” The show was broadcast live from the Hacienda Club in Manchester. 1994, Oasis made their London live debut when the played at King’s Cross Water Rats. 1998, James Brown was charged with possession of marijuana and unlawful use of a firearm after police were called to his South Carolina home. Brown later claimed the drugs were used to help his eyesight. 2002, Enrique Iglesias scored his first UK number one single with “Hero.” His father, Julio Iglesias, had a UK number one hit in 1981. 2006, Gene McFadden, R&B vocalist and songwriter, best known as half of the Philly soul team McFadden & Whitehead, died of cancer at the age of 56. The duo had the 1979 hit “Ain’t No Stoppin’ Us Now,” which sold more than 8 million copies and was nominated for a Grammy Award. 2014, American folk singer and activist Pete Seeger died at the age of 94. He had a string of hit records during the early 1950’s as a member of the Weavers, most notably their recording of Lead Belly’s “Goodnight, Irene.” The song was a number one for 13 weeks in 1950. Members of the Weavers were blacklisted during the McCarthy Era. In the 1960s, he re-emerged on the public scene as a prominent singer of protest music in support of international disarmament, civil rights, counterculture and environmental causes. 2015, Tom Petty and Jeff Lynne were given a song writing credit on Sam Smith’s hit “Stay With Me,” because of the similarities to his 1989 track “I Won’t Back Down.” “Stay With Me” had been nominated for three Grammy awards, including Song of the Year. The parties made an out of court settlement.